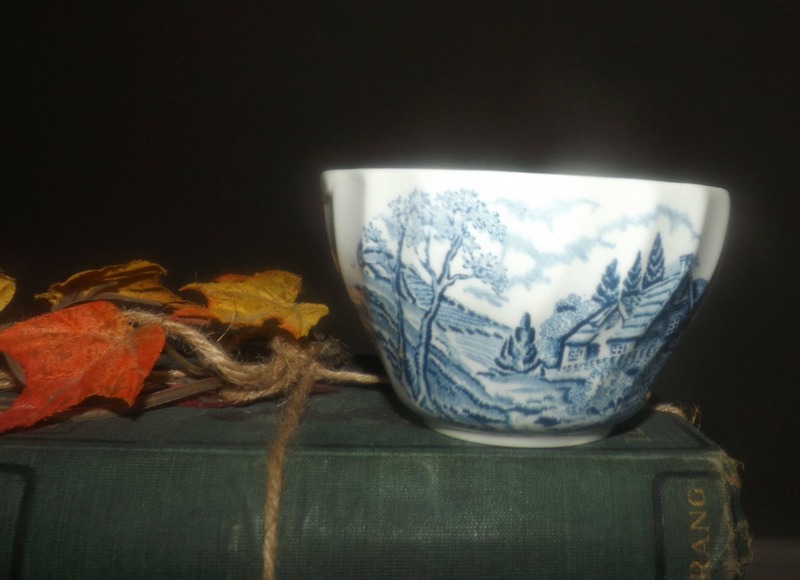 Vintage (early 1990s) Churchill China England The Brook Blue open sugar bowl. Blue-and-white landscape scene. Minor flaw (see below). 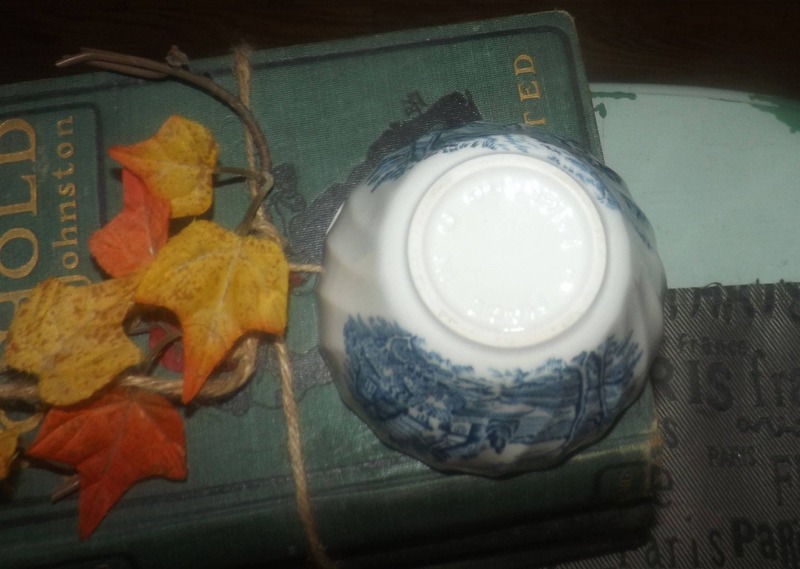 Vintage (early 1990s) Churchill China England The Brook Blue open sugar bowl. Blue-and-white landscape scene. In EXCELLENT! 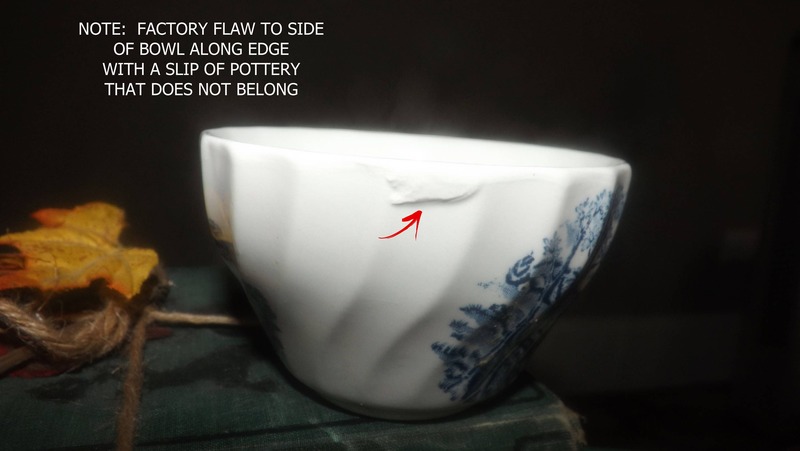 condition, there is a factory flaw to the side of the bowl, along the scalloped edge, with a slip of earthenware that should not be there (please review the posted photos for a complete visual of the item. Otherwise there are NO! other noted flaws, NO! chips, nicks, cracks, or fleabites and NO! crazing. 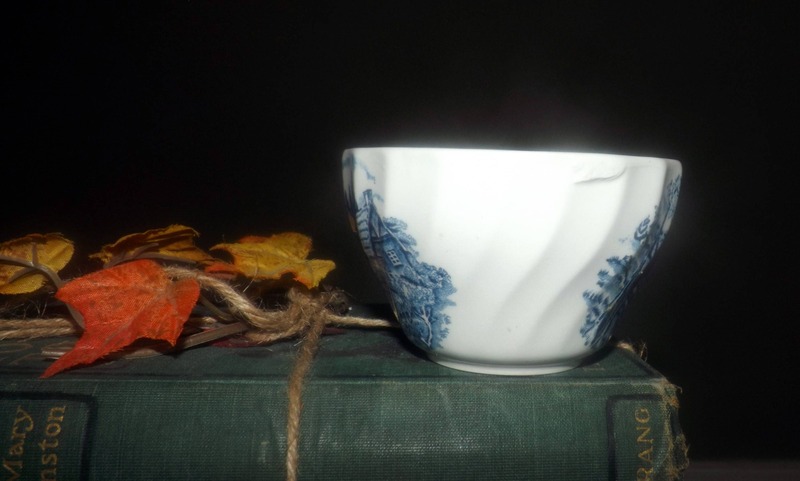 The blue-and-white landscape | English Country imagery is bright and vivid with NO! 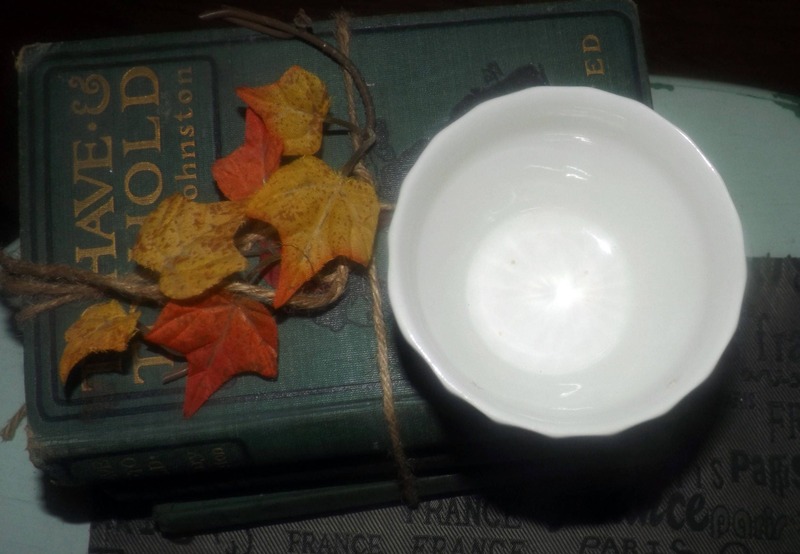 fading apparent and the inside bowl is clean as a whistle. Approximate measurements: stands 3-3/4" with a 4-3/4" diameter bowl.